On August 6, 1998, Frank Oshry’s life changed forever. His beloved wife of 57 years, Gladys Oshry, died of a massive heart attack in the bedroom at the back of their house. Even though physically Frank did not die that day, mentally and emotionally he passed on right along side his wife. These photographs were taken eighteen months before Frank died, right before we had to move him out of his house of forty years into a nursing home, a place he swore he would never go. 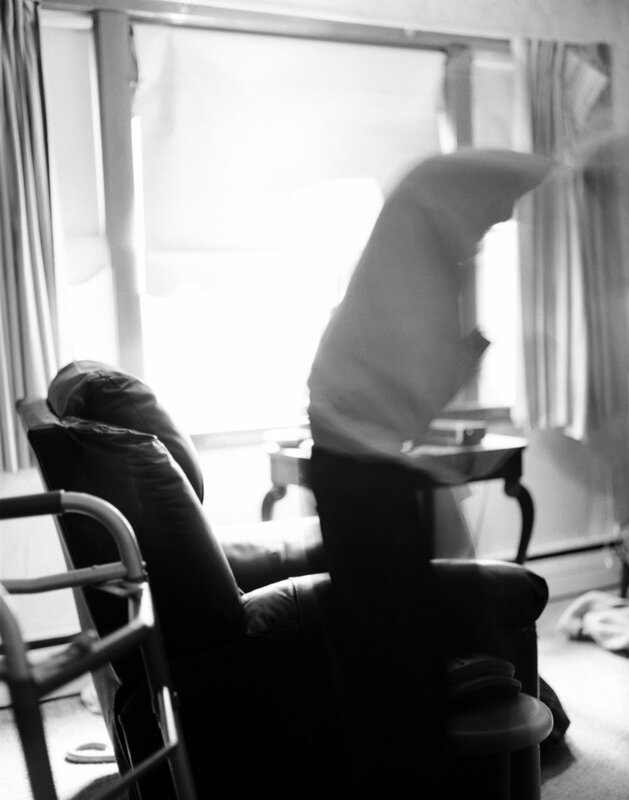 The long exposures heighten one’s awareness of his dilapidated body while stressing his slow, careful movements. The images capture a transcendental quality of existing in two separate places at once and not being able to gravitate to one or the other. I treasure the time that I spent with Frank making these photographs. I listened to his stories, stories I heard a hundred times before. I listened to him speak about his wife, my Nana, how he still talks to her and can’t wait to be with her again; how he loves his family, but feels like a burden; how he sits in his chair and cries every night missing her terribly. Frank occupied this house for five years after his wife’s death because he was afraid to leave her behind, but as these images reveal, he stopped having the will to live long before his death on March 15, 2005.